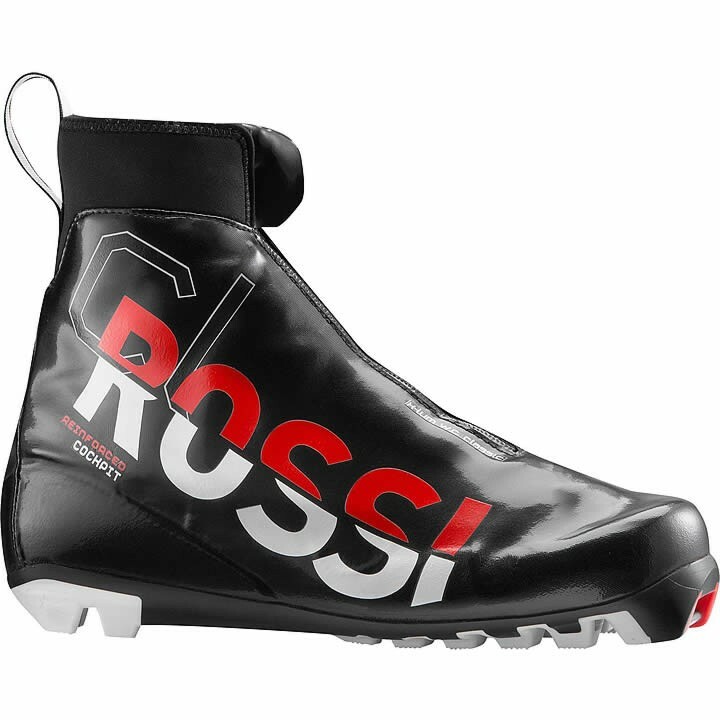 The World Cup boot for competitive classic skiers, the Rossignol X-IUM WC Classic Boot features Rossignol's new, classic-specific, low-profile sole construction for increased precision, power transfer, and more natural foot roll. The lightweight carbon edge heel counter increases stability, power and response. Lock Down foot wrap, Active Control heel support, thermo-moldable fit, and asymmetrical lacing provides a precise fit. Expert Classic: Optimizes the gliding phase through sole flexibility and improved foot roll for enhanced propulsion. Speed Lace Lock: Offers rapid, easy closure for increased support and precision.